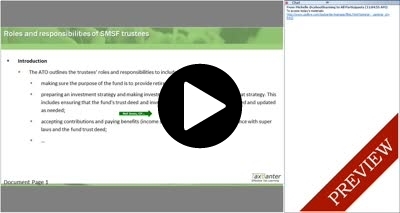 In this webinar, we will discuss the Role of being a Trustee of a SMSF. What are the duties, responsibilities and obligations? We will examine the difference between individual trustee and corporate trustees of SMSF's. We will also briefly discuss the implications of getting it wrong.